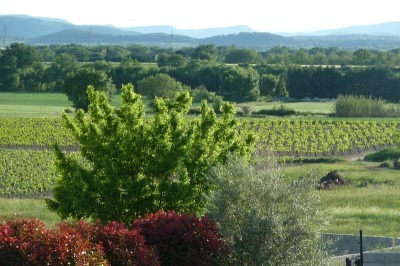 La Bastide des Lavandieres is located in the village of Canaules deep in the Languedoc wine producing region of the south of France. 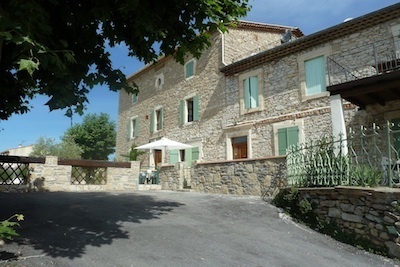 The village is in the foothills of the Cevennes and near the towns of Nîmes and Anduze. Originally built in the mid-19th century it has previously been used as a small hotel as well as a café and a night club. Following extensive renovations this wonderfully preserved stone building has now been converted into six large apartments with private off-road parking , large swimming pool. & outdoor hot tub/jacuzzi . Canaules is a typical French village - small but full of character, nestled in the vineyards of the Languedoc, in the foothills of the Cevennes national park and close to a number of medieval French towns. 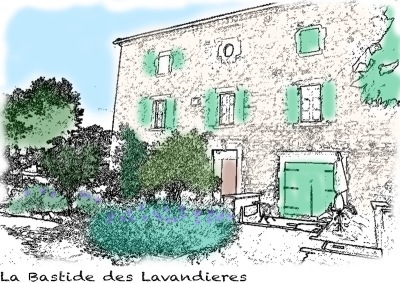 There are 6 apartments in total La Bastide des Lavandieres and we can accommodate everything from couples & families to large touring groups. The six large apartments in La Bastide des Lavandieres have been completed & furnished to a high standard. Bedrooms: 1 Double Bedroom, 1 Twin Bedroom. Also full size sofa bed in the living room. Kitchen: Oven, Hob, Microwave, Fridge-Freezer, Dishwasher, Washing machine . All have either a balcony / terrace / reserved seating area for eating outdoors. Central Heating. There is no air-conditioning required as the walls are solid stone & aprox. 1 metre thick. Because of this the building stays cool in Summer & remains warm in the Winter. Outside we have a large 12m x 6m swimming pool with a shallow kids area, inflatable pool toys , sun loungers, tables, chairs & parasols. The pool area is fully fenced & gated to ensure child safety at all times. It is a saline pool so there's no nasty chlorine to sting the eyes. Our pool is open from early May until mid October. There is also a pool house with loungers comfortable seating and games. The paved garden has a children’s play area as well as extra tables & chairs for dining outdoors either with family or other guests. Our large private car park has space for up to 6 cars. The village playground is located about one minute's walk away . The apartments building is located in the centre of the little village of Canaules between the Mediterranean coast & the Cevennes Mountains. 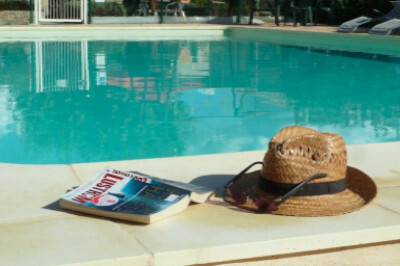 It is just a 15 minute drive from Anduze ( the Gateway to the Cevennes ). Anduze is a thriving tourist town with a good selection of restaurants and cafés all along the main street. It really comes alive at weekends but is also worth a visit in midweek for the Wednesday night market or the Thursday morning traditional market. Also 15 minutes away are the picturesque medieval towns of Sauve and Vezenobres. as well as Alés with it's great river beach (open during Summer) . Sommieres and Nimes are 30 minutes away and an hour’s drive will take you to Montpellier as well as the beaches of the Mediterranean. Our caretaker will be there to greet you on arrival and provide useful information during your stay. The Cevennes National Park is a wonderful natural playground with river swimming, kayaking, horse riding, hiking, climbing and canyoning. From Roman theatres and aqueducts to Medieval towns, there is a wealth of history and sight seeing locally. Beach : Alés River Beach which is officially open from early June until the end of August is on the bank of the Gardon River & it has some excellent facilities including easy parking , shallow water swimming for kids , showers , a lifeguard , beach volleyball , boules , pedal boating , kayaking , water bubbles , a café bar & a Restaurant . You can also rent sun loungers, umbrella’s , kayaks , pedal boats etc … At night time during summer there is normally a DJ or other free musical entertainment throughout the entire week. Although it is not a substitute for the stunning beaches of the Med it is still a nice place to spend a sunny Summer's day. And it's just a short drive from your apartment.